Dr Chetna Kang MB BS MRCPsych explored how identities and belonging can bring people together or keep them apart. A report of this lecture appears in our February 2019 newsletter here. The World Congress of Faith’s 2018 programme of events started with a symposium ‘Spirituality, dialogue and action: new thinking for an interfaith society’ on 21 March held at the Focolare Centre in Welwyn Garden City. More than 30 delegates met to explore themes of’ Spiritual but not Religious’, ‘Inter-generational issues in interfaith practice’ and ‘Challenges and innovation’. The scene was set for each theme by a presenter, and then explored in depth by small break-out groups. WCF was fortunate to have three excellent presenters: Barney Leith, Ana Co, and Jenny Ramsden. Each got their topic off to a stimulating start, and the ensuing discussions all helped to fulfil WCF’s remit of sharing ideas and information about new approaches to interfaith through spirituality and disseminating the results. Conversations around the first theme focussed on the nature of ‘spirituality’ in the context of morality and the search for meaning in life, and on the role of religions in providing structure and guidance as well as connection into cultural settings. Rather than reaching ‘conclusions’ groups provided considerable food for thought and action by WCF: for example, the extent to which spirituality can relate to community activity as well as individual inner life, and whether connecting through spirituality helps or hinders in building bridges. 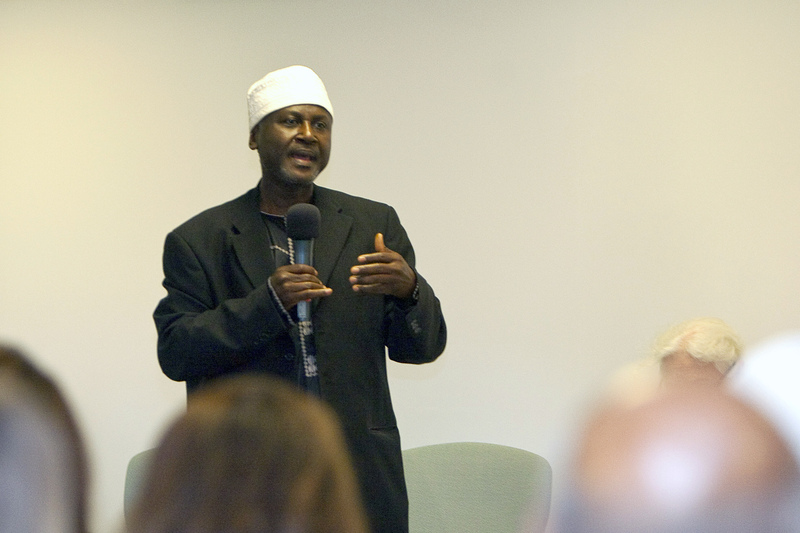 The second and third themes opened up discussion about ways of drawing people into interfaith dialogue and action, especially those new to working with other faiths. Ana Co’s account of 3FF’s Schools Programme prompted delegates to reflect on how sensitivity, tolerance and listening skills can be learnt, and how others (whether in schools or community groups) could be equipped to teach them. Those attending felt that shared hobbies and interests played a key role, and interestingly, this was the very issue developed in the final theme. 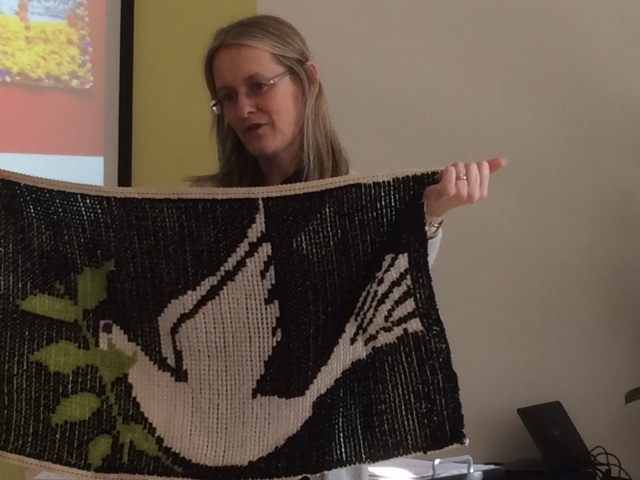 Jenny Ramsden gave practical examples of work done by Touchstone in Bradford to enable people of different faiths to work together creatively and with purpose; break out groups then had the opportunity to talk during craft exercises, making and decorating artefacts. Some found this absorbed them such that conversation became secondary to a quiet feeling of group endeavour, while others found it an environment that encouraged unpressurised and wide-ranging discussion about life and individual lives. A full review of the event, and some of the individual presentations, feature in the Summer 2018 issue of Interreligious Insight. 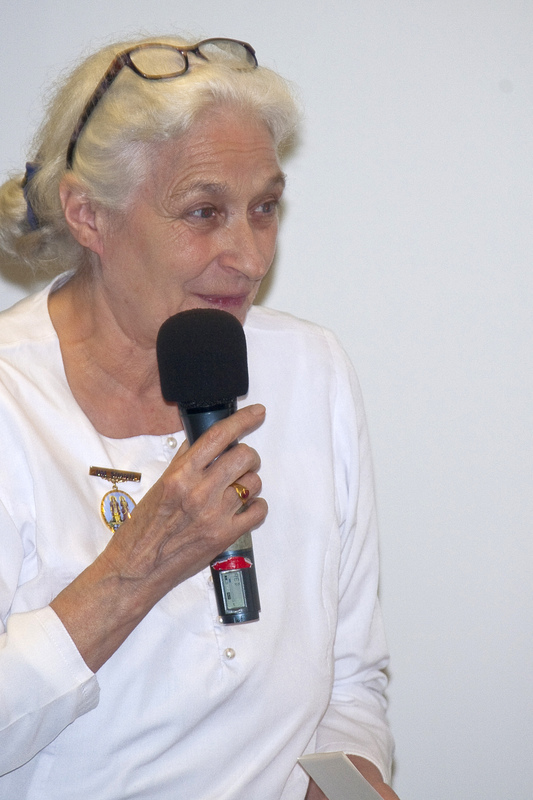 We gathered at the Headquarters of the Buddhist Society in May for our AGM which was followed by a lecture with Richard Boeke celebrating the life of Huston Smith. Huston Smith, who died December 2016, was a renowned author and theologian whose book 'The World's Religions' has been a standard text for 50 years and TV series 'The Search for America' was a treasure trove of meetings with spiritual leaders. Revd. Richard Boeke who gave the lecture is a Vice President of World Congress of Faiths, Co-chair of the Peace Commission of the International Association of Religious Freedom, a lecturer and an author. Hosted by the Brahma Kumaris in collaboration with the World Congress of Faiths and Chaired by Pejman Khojasteh, Treasurer for World Congress of Faiths, the welcome was given on behalf of the Brahma Kumaris by Cherie Chin A Foh. After the break a short video created by the Mayor of London’s team to celebrate Interfaith week called ‘London is open’ was shared and it highlighted the beauty of each faith, and the beauty of opening doors to each other to invite new possibilities and exchanges. BK Masana de Souza facilitated a conversation based on the following three questions: What are the challenges and opportunities facing our spiritual communities at this time? What are the possibilities and opportunities are we aware of? How can I be the change that I wish to see in others? This was explored first in pairs, then in groups of four and finally in groups of eight. There were many points (see below) that came out of the afternoon’s exchange in the conversations and the energy in the room lifted as each shared and listened to each other’s views. Some of the themes that arose included the need for recognizing and respecting each other regardless of faith, culture etc and the need to cultivate an inner sacred space, developing an inner silence where we can have clarity and self trust and therefore extend this out to all others as we connect with the heart. The afternoon was beautifully closed with a song by Rabbi Mark Solomon which encapsulated the feeling in the room ‘The prayer of the true heart is that it all never ends…the sun, the sea, the beauty’…. Thanks were offered to the speakers, organisers and supporters of the day. We enjoyed the idea of building the dialogue from 2 to 4 to 8. Our group was very diverse and our discussion was fascinating and revealing….we converged on many things. We had some converging of ideas that seemed beneficial and a mixture of faith and no faith. By recognizing and respecting the other…and their ideas even if I disagree…there is coexistence, otherwise we will end up destroying each other. Everyone is a loser in war. (Chekhov). Becoming perfectly adjusted in a maladjusted society is an act of duplicity. Courageous to say what we do believe. The inner has to become the outer. How can I be the change I want to see in the other. Focus on the self and qualities and look for qualities in others. Lovely to be in a sacred space together. There is power in introversion and a necessity to be in silence. Become a space for others to reach out. Become a mirror and recipient of others fear, concerns and desires to change. Thoughts are an issue and a battle…Acceptance of own thoughts brings release. Seek clarity and work on self trust. Coming together is the most important thing. It is often easier to speak to interfaith people that it is to those within own faiths. Be good to come together more within faith. We created a sacred space as we talked as we shared from the heart. How can I be the change I want to see in others. Living it oneself. Not blaming. Be with others in a nonjudgmental way is important especially when they are wavering. We need to detach from material things and accept the self. We are all unique and yet how do we share? If we are all Gods’ children why are we so divided. How do we manage this. There is the challenge of unity. By being good listeners with compassion we can create a feeling of sacred space. Transcendence across the limitation of our bodies. Focus on the spiritual space within our bodies. Extremism flourishes in the absence of doubt….doubt sometimes can work beautifully as an antidote to fundamentalism. So to believe in ourselves but not be selfish about it. I am coming away from here joining a meditation group. Fabulous opportunity to come together and see how we can become more united . Nice we all got a chance to share our perspectives.. Very good afternoon, very diverse….building up the groups….worked very well. Being more true to myself. Being kinder to myself and believing that I notice that what I project onto other people is very often what I need to look at myself To express humbly as well as listen to others. I need to get deep enough to true self where I meet God. Our 80th Anniversary Conference in Emmanuel College, Cambridge held on 23 September was a great success. 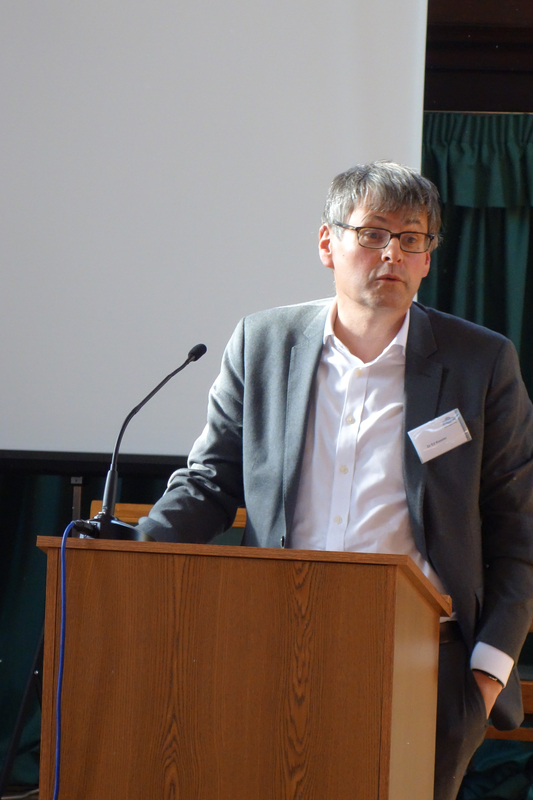 Dr David Cheetham of the University of Birmingham introduced the proceedings, noting how the nature of interfaith encounter had changed with new ideas of what constituted the 'secular', and with the advent of new technologies and ways of engagement. 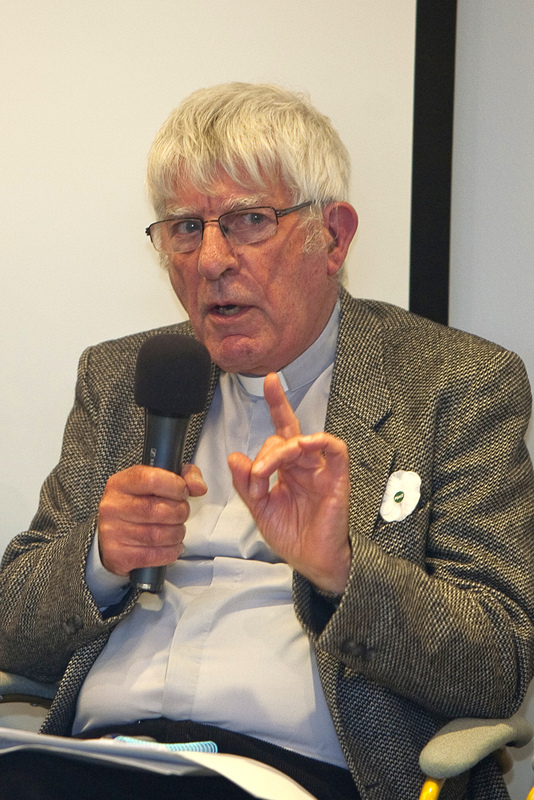 Revd Dr Alan Race spoke about 'coming full circle': in the post-colonial era, people of faith had to learn not to see others in their own image, but we have now moved from simple empires of land to empires of the mind, and are falling back into old habits. He reminded us that 'We each experience the whole, but in different and partial ways'. Professor Ursula King traced the involvement of women in the development of interfaith relations, where even now their contribution is more at grassroots level that in the leadership roles where they are needed. To move successfully into the future, feminist thinking must be applied to interfaith theology, and gender-critical thinking must be actively cultivated. Dr Ankur Barua considered religious pluralism and interfaith dialogue from the perspectives of Hinduism, and the seeming paradox whereby some western observers and Hindu thinkers presents Hindu forms of thought and practice as intrinsically peaceful and tolerant, while historians of south Asia are familiar with the complexity of Hindu patterns of violence directed at other faiths on the subcontinent. There is a need to distinguish between 'spiritual' and 'political' Hinduism. Rabbi Tony Bayfield agreed with the view that religious absolutism is both a cause of world conflict, and is logically absurd. Public discourse in the UK is grounded in economics, preventing the essential space for exploring and affirming values; dialogue about values should not be the preserve of academics and professionals, but should be part of ordinary life, and we must be more creative about enabling this. Professor Chris Baker focussed on the interaction between public life and religion, and how they shape one another. Due to 'globalised modernity', boundaries have become more fluid, and this creates an environment in which religion can thrive, representing a search for reconnection and a 'home'. At the same time, however, 'faith' in the sense of vision and commitment has been lost from the political arena. 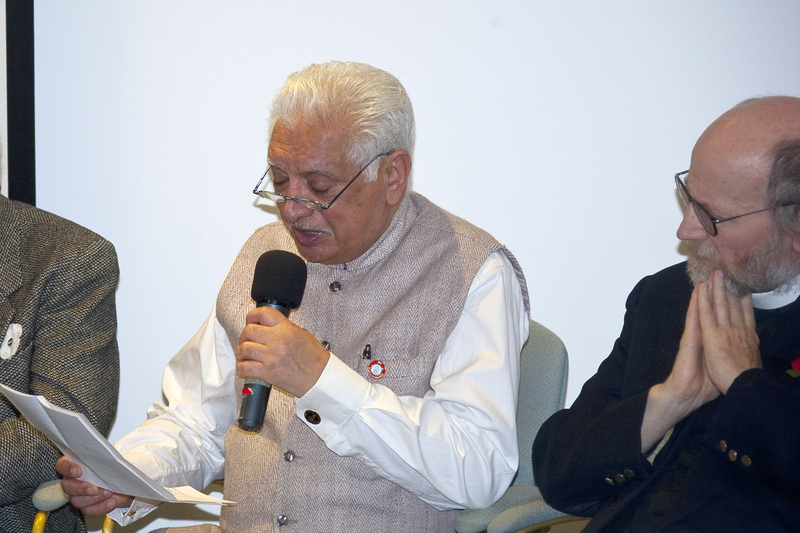 Dr Edward Kessler and Dr Riaz Ravat then provided their reflections on the development of interfaith relations, the increasingly pressing need for this area to be addressed and prioritised, and the importance of this conference and WCF's work in raising some of the key questions. The Royal Foundation of St Katherine is a wonderful oasis of quiet away from the busy-ness that is London. About 50 members and friends enjoyed tea and sandwiches and discussion about interfaith matters. We were particularly delighted to welcome Hamander Singh who talked about Interfaith dialogue and marathon running. On 4 February 2016, we held a symposium at Sarum College in Salisbury. The Fo Guang Shan Temple is in the heart of London’s West End, but one would never guess at its bustling environment once inside, and enjoying the peace of its meditation and meeting spaces. 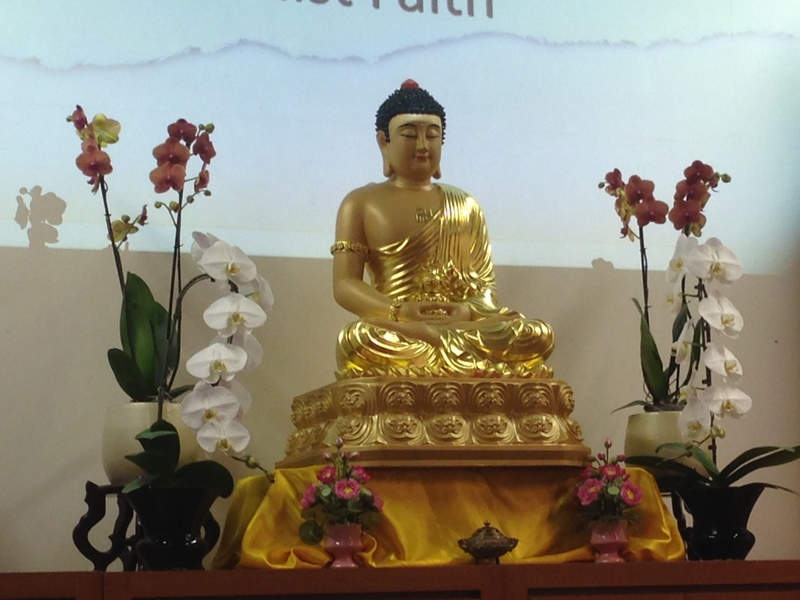 The Humanistic Buddhist Temple was the setting for one of the first events in Inter Faith Week 2015, when jointly with the World Congress of Faiths it hosted a tea ceremony and a debate on 15 November. Attended by more than 30 people, the tea ceremony offered an insight into the calm and contemplation associated with small but significant acts, such as sharing and appreciating refreshment. After the ceremony, guests were given a new publication of daily reflections, ‘365 days for Travellers’. 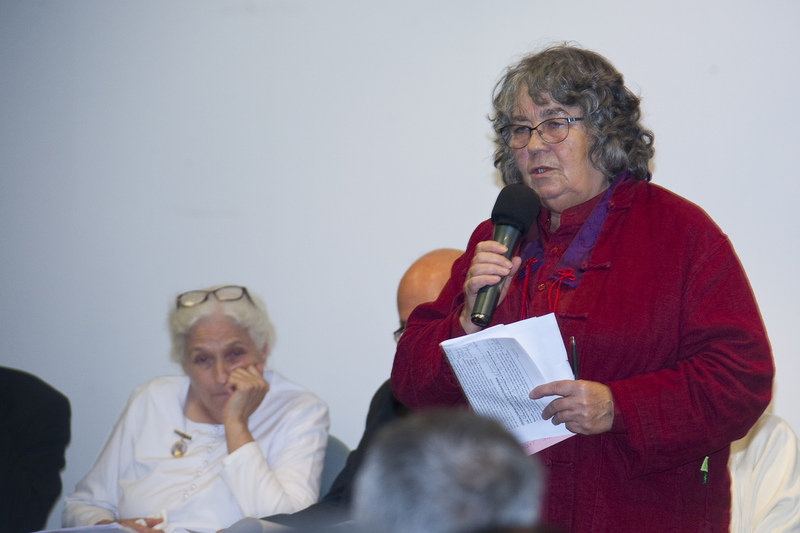 They then moved to the Library, where Inter Faith Network UK Director Dr Harriet Crabtree welcomed the first day of Inter Faith Week, a tradition that was moving from strength to strength with more events and support every year. The debate was chaired by Dr Alan Race, Chair of WCF, and the four speakers were introduced by Jon Dal Din of Westminster Interfaith. 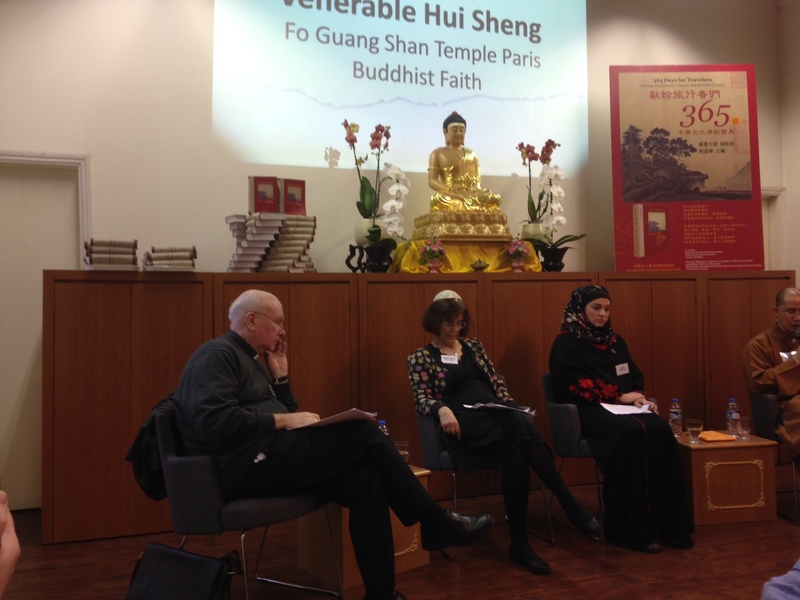 They were: Venerable Hui Sheng, of the Fo Guang Shan Temple in Paris; Roman Catholic Archbishop Kevin McDonald of England & Wales; Rabbi Helen Freeman of West London Synagogue; and Jayde Russell of the London Central Mosque and Islamic Cultural Centre. Each spoke on the theme of ‘Vision and hopes for the future: What can faiths achieve together in the coming year?’ and delegates then discussed some of the issues and questions arising. If you would like to comment on this event, or join a discussion, please go to our blog page. The World Congress of Faiths was well represented at the Parliament, by Vice-President Marcus Braybrooke, Chair Alan Race and members of the Executive Committee including Sister Maureen Goodman, Karen Bali, Vinod Kapashi and Mary Braybrooke. Members from Britain arranged a multi-media meditation on “Peace in Our Hearts: Peace in Our World”, while Alan Race and Jim Kenney – editors of our journal Interreligious Insight – led a seminar discussion. Many speakers stressed the need for participants to turn what they had learned into action in their own communities to overcome poverty and fight for justice through action and not just words. The President of Parmarth Niketan Rishikesh, one of India’s largest interfaith spiritual institutions, said the work of the interfaith movement is needed worldwide. “There is a shortage of food, clean water and arable land across the globe. If there’s any shortage, there’s a global consciousness shortage." The first Parliament was held in Chicago in 1893, and has since been re-convened in South Africa, Spain, Australia and the US. If you would like to comment on this report, or join a discussion, please go to our blog page. 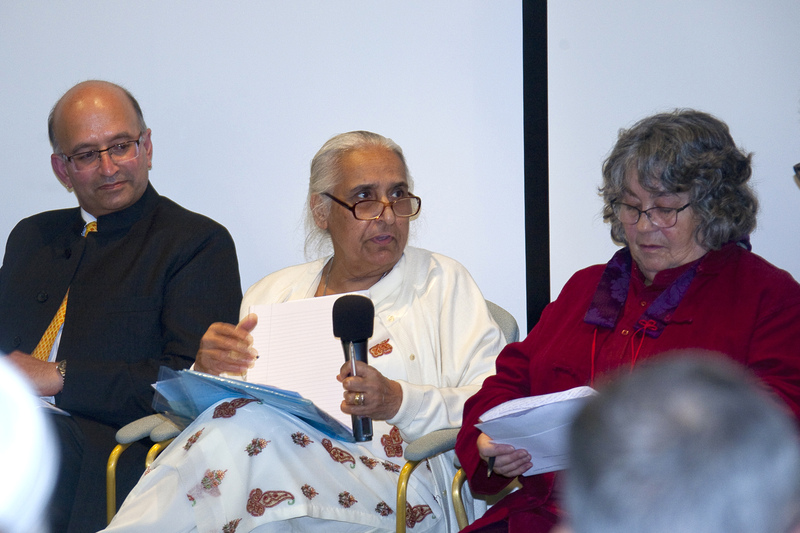 In July 2015 the World Congress of Faiths co-hosted the Conference at High Leigh on Seeking the Sacred, with Modern Church. Full details are on the Modern Church website. Many thanks to Modern Church for allowing us to reproduce them. 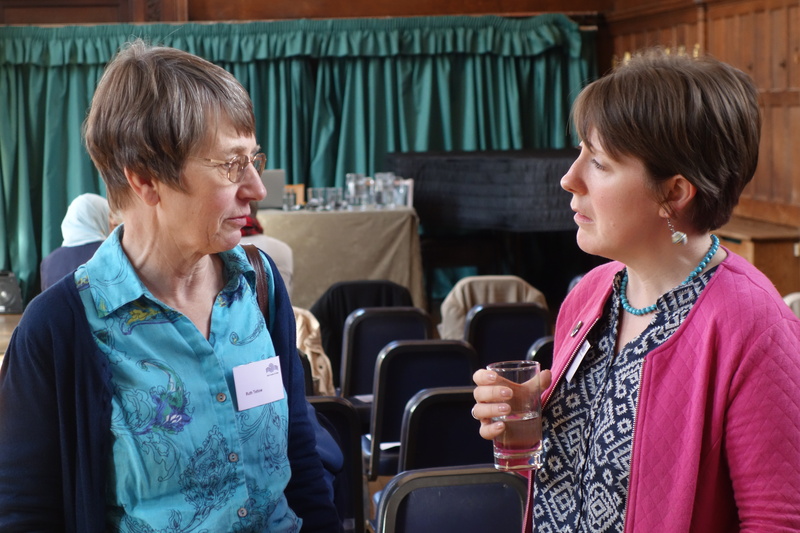 ev Bonnie Evans-Hills, who was Conference Chaplain and led a workshop on Feminist Movements Within Religious Traditions, and Jenny Kartupelis our new Strategy and Development Officer, who led a workshop on Christians Facilitating Interfaith Dialogue: Opportunities And Challenges In Practice.